I did an assisted start with Jester. Halfway through I canceled the start up accidentally. Need to change jester commands to numbers only not by look. I had engines started so said what the heck let’s taxi. Grounded crew got pissed because I drug the air unit with me. So I let them disco it. Taxi seemed hard but that’s because I forgot to turn the brake off. Full burner for taxi seemed odd. Since I didn’t finish start up. Nothing was on but the engines. So we took off. No flaps no sweep no nothing. Rocketed down the runway and up we went. Lots of shaking. Turned to head back to land. Lost bunch of speed and almost crashed. Tried to lone up for landing but overshot the turn a bit. And while trying to line back up slowed down too much and well she falls like a brick. I did manage to at least crash in the ammo dump at gudata. Going to be a fun model to learn. Did I mentioned how easy it is to land compared to other carrier capable aircraft? I managed to get the 3rd wire on my third attempt. The DLC makes landings lot easier for sure. Does anyone have any curves on the pitch and roll? I am finding my stick is proving to be somewhat jumpy. I tried assigning a curve but it does not seem to work. Recommendations? I have a curve of 15 for both axis on my TM Warthog. Works good for all but refuelling (but that also may be me not being used to the airframe yet) so I may bump it up to 20. I am finding my stick is proving to be somewhat jumpy. Yup - got a deadzone of 3, curve of 20 for my CH products stick. How are you flying the jet? Once you start getting into even say 10 to 15 units of AoA, rudders become very important, first to coordinate the turn, and then they gradually take over as combined roll / directional control. The transition from left/right stick input to the rudder pedals is more of a continuum than a discrete step as AoA increases. No, it’s a known bug. There’s a thread on ED forums about it, and it has a file from stable that can fix it. At least it did for me. That did it! 6 for you, sir! this has to be the most impressive launch of a new module I think I can ever remember in DCS. …aside from the Mig-19 launch! Thankfully the Tomcat was built in larger numbers than say the Viggen. slowed down too much and well she falls like a brick. In 1988 in the VACAPES OPAREA; at night: A simple flight back to the beach from the boat. The distance was short . 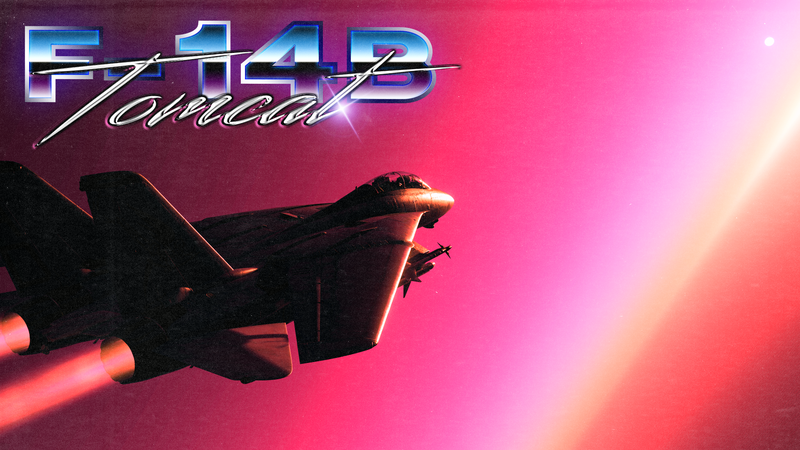 The F-14 didn’t have a lot of fuel aboard for such as short trip and was light so it was going to be a MIL power launch…a bit unusual since this was an A model given the engines, most cat shots were in AB. The launch bar gets incorrectly hooked to the shuttle. About 1/3 of the way down the stroke, the launch bar “spits” the shuttle. In the jet the aircrew feel the sudden loss of acceleration. The RIO calls “Do you have it? !” The pilot answers “we’ll see.” and lights the AB. Anyone else feel physically tired after flying the F-14? I was in a couple of dogfights last night with MIG-29s, the kind that go on forever, afterwords I was sweating and absolutely knackered. It was great. I already am regretting it, I had some performance issues again recently but figured it must be Firefox after ruling out most other things. Did a quick test today and yeah, seems to be the problem. So I hope I can run it now, it was easier knowing I couldn’t an hour ago! I get where you are coming from because the 'cat doesn’t fly like any other module that we have access to and my recent history has been the F/A-18C’s fly-by-wire goodness. I am almost paranoid about it because I know that it’s likely going to be me for a bit until I get used to it. Lst night as I was making a few dry runs on the carrier (launching from and recovering to land) I was having a nasty time getting the roll under control. It felt like the deadzone was there and way more pronounced than I expected. It felt like, all of a sudden, the stick inputs were scaled too high - like the deadzone was obvious and as soon as I ended up outside of the deadzone it wanted to immediately roll hard - well not hard as in it would flip over but it felt like there was a spike coming out of the deadzone (2), which is where the curve I had (20ish) would normally ramp up. I will put more time into flying this weekend but maybe it is practice. I just noticed that I was having an issue staying straight and level (after trim and if I touched the stick side to side, it was responding like I had ham-fisted the stick side to side. I’ve experienced performance issues since the release of the tomcat. Load times are very long, low framerates often, if not outright pauses. My 1070TI went from being almost-fully loaded to always fully loaded. Using Wag’s settings pretty much. Runs fine for other modules, Tomcat occasionally goes full-freeze for a few seconds. Do not try F2 or other external views, unless you want to see planes with textures not yet loaded! Change terrain textures a notch lower, that was for me the biggest performance improvement on a bottlenecked system. Unfortunately, I think a 970 series GPU is the bare minimum for the Turkey, with 16GB RAM the bare minimum system memory. I get around that by having a SSD with a generous page file size, but 32GB and a 1070 series GPU are definitely recommended. 8GB of VRAM probably ideal.